Published on 17 November 2012. 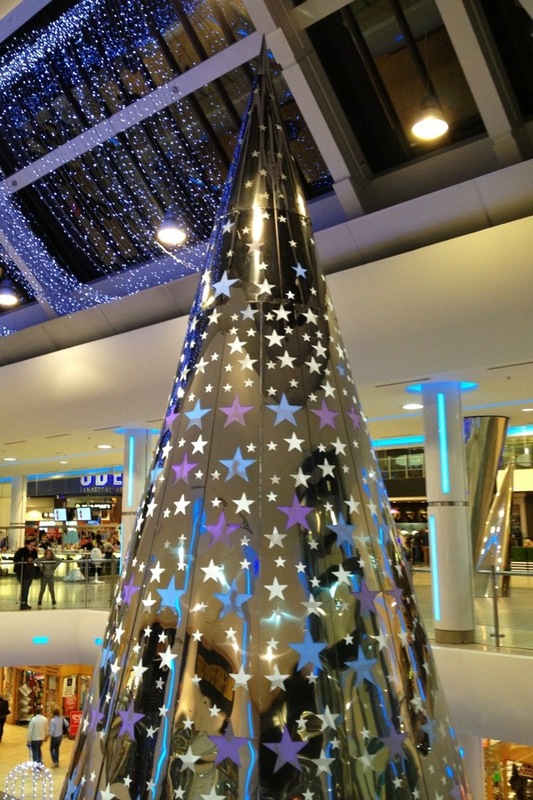 To my eye, this Christmas “tree” – one of several at the Metrocentre – is spectacularly ugly. It isn’t even festive! It’s supposed to echo the artwork that you can just about see on the right of the photo. But, if anything, the juxtaposition just makes this particular decoration look even cheaper! This 1,894th post was filed under: Photo-a-day 2012, Christmas, Metrocentre, Retail.